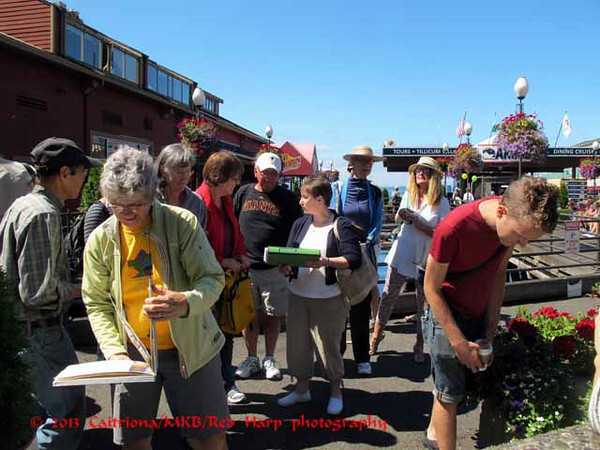 Today was Seattle Urban Sketchers monthly sketch outing to document the Alaskan Way viaduct which is to be torn down. It was called "Under the Viaduct". I got there early on the light rail so had some time before the start to scope out likely sketching spots. 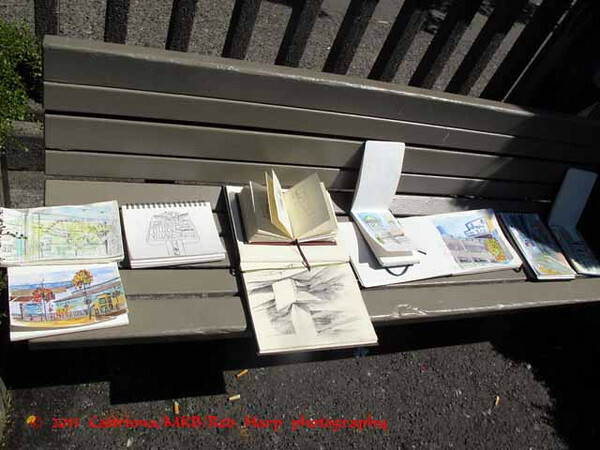 I did two sketches during the outing. 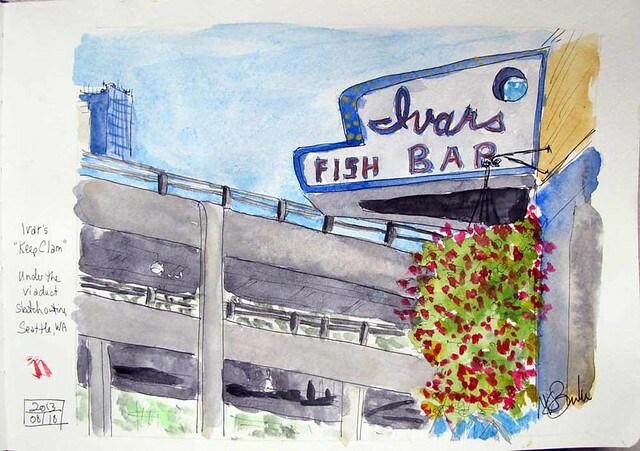 I sketched the Ivar's sign with the viaduct in the background. Then I walked up over the pedestrian bridge to the walk-on terminal for the Bainbridge Island ferry. 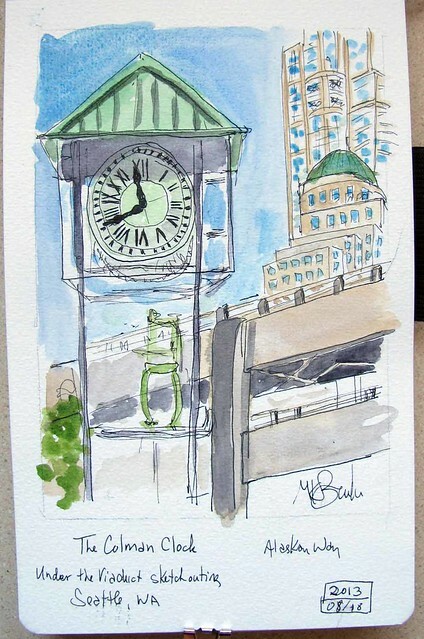 There I found the Coleman Clock, which I again sketched with the viaduct in the background. We shared our sketches, as is usual. 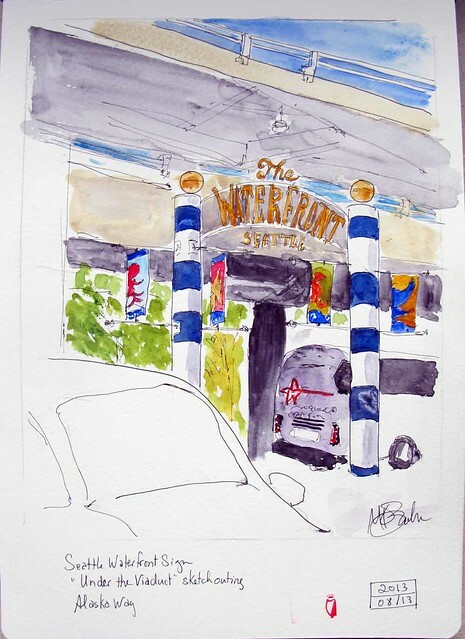 On my way out of town, I stopped for another sketch at a location I liked when I first arrived. I always appreciate your photos to give us a sense of what was happening. This is especially true since I missed this one.